Don Maruska | Power Up Your Potential | How Attractive Is Your Business to the Talent You Need? 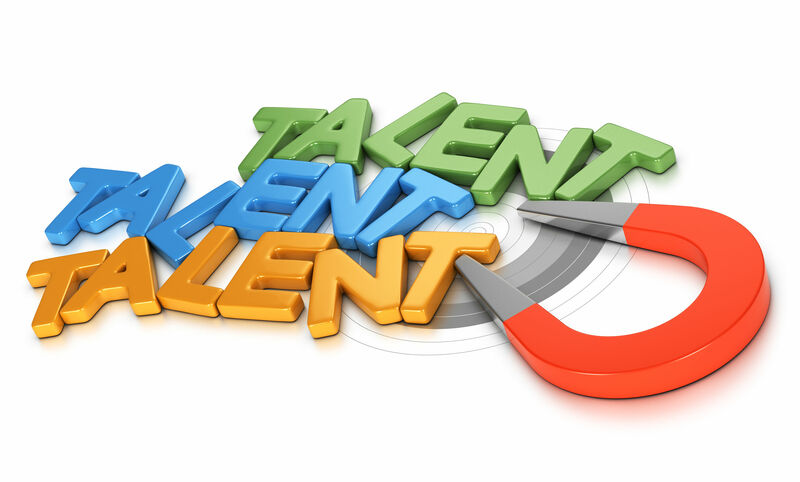 How Attractive Is Your Business to the Talent You Need? People are the lifeblood of any business. Are you attracting the best people who will help your organization soar? Are you retaining your best people or are they going elsewhere? Make employee attraction and retention a top priority for 2017. It will make everything else easier for you. So, how attractive is your business to top talent? Even if your business is not hiring someone now, take stock of its attractiveness so that you know where you stand when you need to add new employees. Based on decades of experience in building and growing businesses, I’ve developed the Employee Attraction Index. This measure indicates how attractive a business is to employees. See if your employees agree with your answers. The gap between how attractive a manager thinks the business is and what employees themselves think identifies improvement opportunities. 1. Do you have outstanding employees? 2. Do customers compliment your business for the quality of your employees? If customers give unsolicited praise for more than half of the employees they encounter, you know that you’ve attracted excellent workers. 3. Is turnover among your best employees less than 10%? Good people vote with their feet. They don’t need to stay where they don’t want to be. How are your good employees voting? Among the 2016 Fortune 100 Best Companies to Work For®, voluntary turnover rates are approximately half that of industry peers. 4. Do your best employees know and attract others who want to work in your business? Good people know good people. If your good employees are happy, they’ll attract other good employees. Score a “yes” for your business if a third or more of new hires comes from the referral networks of your good employees. 5. Do you have a waiting list of employees you’d like to hire? This may sound like a luxury in a tight job market, but the 100 Best Companies had dozens of applicants for each job opening. That’s more applicants per position than the most selective Ivy League schools. You don’t need such towering numbers to qualify as attractive. Score your business a “yes” if you could choose people from your waiting list and retain a high quality workforce. 6. Do your employees enthusiastically offer suggestions to improve the business? Are they acting like owners? Caring enough to offer suggestions is a key indicator that employees have connected with the business. The attraction is so strong that they want to make it better. 7. Do employees value the opportunity and the work environment more than the pay? There’s always a way to earn more money elsewhere. Often, grumbling about compensation is a symptom of deeper ways in which the business is not meeting employees’ needs. Your business is attractive if employees don’t jump to a new employer just for a boost in pay. 8. Is employee enthusiasm making everyone a sales person for the business? Over time, customers have more contact with people who aren’t in the sales force than with those who are. Check if the enthusiasm and professionalism of employees outside of sales are prompting added sales. 9. Are employees proud to wear something in public that identifies them with the business? Quality people value their word and their identity. They don’t give it away frivolously. Do your good employees want the public to know where they work? 10. Do employees take their vacations and eagerly return? Your business is attractive if employees return refreshed and rededicated. If employees never take vacations, they are addicted, not attracted, to their work. Don’t let workaholics make you think your business is attractive to employees. It’s filling a gap in their lives, not drawing their best. Add up the number of questions to which you (or your employees) answered “yes.” The total is your business’ Employee Attraction Index. If your business’ Employee Attraction Index is 10, your business is irresistibly attractive to employees. You have the opportunity for extraordinary growth, profits, and personal satisfaction. If your score is 8 or 9, your business is powerfully attractive. How you are identifying, developing, and recognizing your employees will sustain strong growth. If your business scores 6 or 7, you have a foundation in place and significant opportunities for improvement. You’ll want to examine where you can modify your business to become more attractive. If your score is 5 or less, your business is at severe risk. In a hot job market, your top performers will flee. It’s time for some major changes. Make 2017 the year your business boosts its attractiveness to the employees who will help you enjoy outstanding results.